When opening various files across Windows one file in which you may encounter is a .nfo file. This is a type of text file written in the ASCII format and usually contains release notes or other information regarding files or software. Once you click on ok you are simply redirected to the Windows system information utility which contains information about your computer. Whilst this utility contains some useful information it is completely irrelevant to a .nfo file. To get started locate the .nfo file in question and right click on it, from here select “open with” and on the next dialogue select other programs. Once you do this you will see a list of programs installed on your PC from here select Notepad from the list or any text editor program installed. 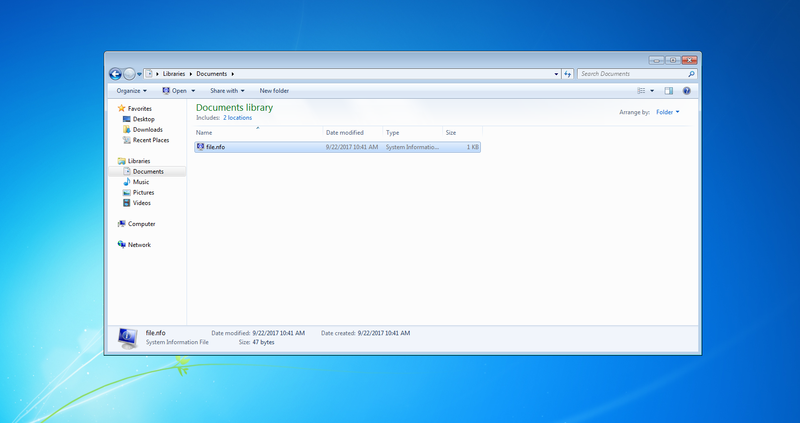 Once selected the file should open in your text editor of choice and you will be able to view the contents of the file. At this point, you can also choose your text editor as the default program to open these files which will enable you to always open .nfo files in notepad or whichever text editor you chose. Has this helped you out? If so share it with your friends or check out our blog for more tutorials as well as the YouTube channel for other technology videos.